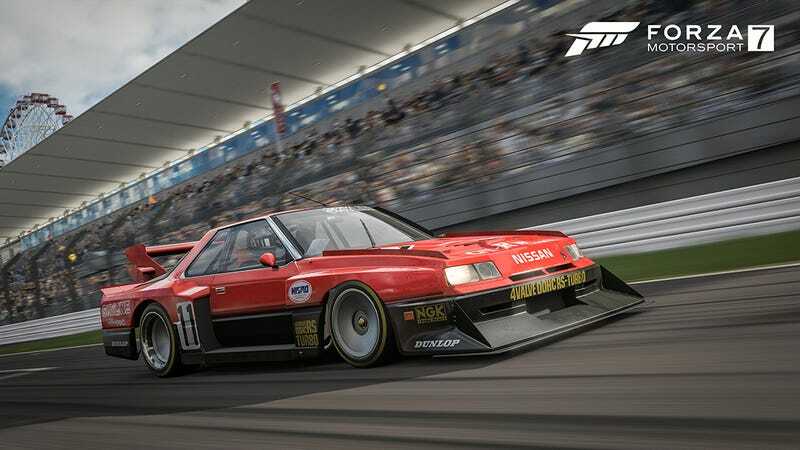 If you've been waiting to get FM7, might be time to rethink. If you have already seen the September update for FM7, then you already know how great it is. Meetups, and experimental drag are amazing. Meetups- Basically a track day style event. You load into the track and do lap after lap of the track with no restriction on car, laps, time, whatever. The two different variations on this are great though. Enjoy drifting? Have at it, hop in a drift lobby, get in your finest Nissan S chassis drift car and see who can score the highest. Get some Tandems going with a group of friends in a private lobby, or just use the relaxed atmosphere to fine tune the car. This paired with the drift suspension update make for the perfect drift experience. Maybe you’re like me and enjoy seeing how fast you can get around a track. If that’s so, then track meetups are perfect. Just like the drift meetups, you pop into a lobby, pick a car, get on the track and see who can be fastest, laps invalidated by going off or contact are counted like they are on the leaderboard, so the F1 car isn’t totally OP. Just like drifting you can use this chance online to change tunes. mess with the setup and make the car “more better.” This can also be done in private lobbies and you can restrict what people use just like any other style of racing previously available. So if you want spec cars only, you can select the car you want, turn mods and tuning off, and see who is best with less restrictions on laps, and timing. There is also a third variation available, but it’s not exactly an enjoyable time in my experience. It’s called open air strip. Imagine a demolition derby, moving at 200mph, and constant chaos. It can be fun if you join in, but if you just want to slide around (points on this lobby are based on drifting) and enjoy yourself, expect to get hit....hard...You can drift around and remain unbothered, but the runway area is usually where everyone does the chaos thing. All three earn you XP and Credits in game, rather fast too. I’m not sure the exact way it decides how much you get, but it’s either because I’m less focused on the amount of time I’m actually spending trying to beat my last lap, or if earning in these modes is legitimately faster. I typically leave a lobby having leveled up 8 or more times. Also added into the game was an “Experimental Drag Mode.” Currently an offline only feature, and only one track. It’s basically a more indepth drag mode, you have to get an actual reaction time based on the lights counting down as opposed to just holding the gas waiting for the game to begin the race. All listed above have some absolutely outstanding loading times between menus and changing cars. It’s amazing what they have done to improve this. So if you’ve been putting off FM7, or set it aside because it got too boring, might be time to reconsider. Even with FH4 coming, I’ll still be playing Motorsport 7 for the realism when Horizon gets a little old.